The coasts of Norway with its fjords, rocky outcrops, currents and storms that rage without warning have since the very beginning put a strain on the most experienced navigators. Since the ice retreated to allow human settlement, these desolate lands have been the challenge of many of the most skilled navigators who have ever sailed the seas. The Vikings, to quote the most famous, explored all over these areas, strengthened by the experience to which these severe lands had exposed them. Cliffs, strong winds, and generations of fearless navigators are words that echo to the attention of the PSAI Explorer Team, as a bell that recalls our ancestral need to explore and discover. 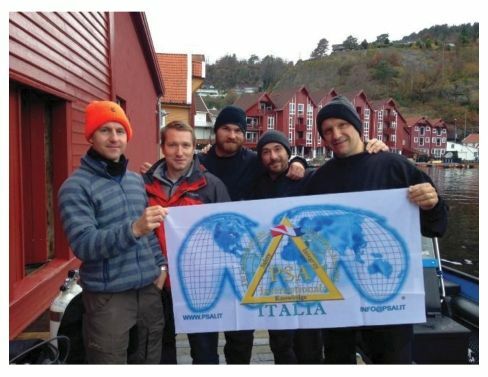 Sustained by the historical research by Leonardo Canale and Maurizio Bertini, we organized an exploratory expedition to the southern part of Norway. 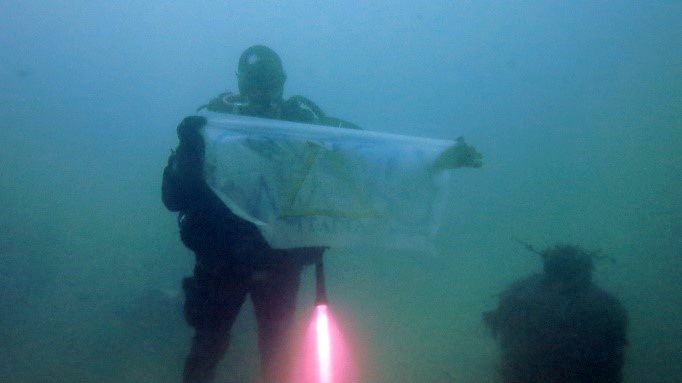 Supported by a local diving club and by the divers Daniel Ree and Thomas, we are made aware of the recent discovery of the remains of 2 frigates from the period between 1600 and 1800. They periodically resurface from the sands of the Baltic that hides them and makes them emerge. On that foggy morning in October 2017, the thermometer was marking few degrees above zero, and we were in the boat following a route to the inlet between the open sea and the fjords, typically one of the most delicate points for the maneuvers of sailing vessels of that time. The sea was rough with heavy rain. After a rapid descent, we reached the sandy bottom at about 30m, where visibility was excellent. Often it can happen that seaweed and sediment moved by currents make it difficult to see a little further than your hand and make it difficult research. 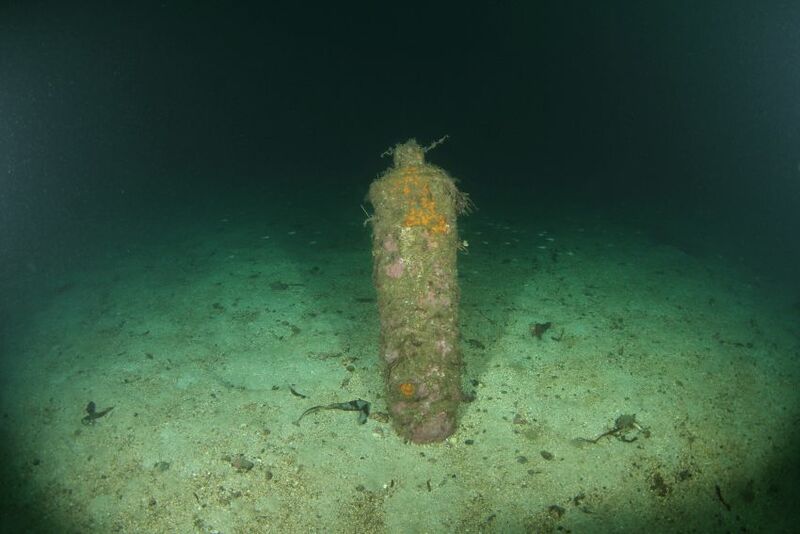 The first finding that makes us exited has been the delineation of a metal rusted cylinder of about 3 meters length and about 50 cm in diameter that vertically emerged from the sand. An incredible amount of pebbles that filled the ship’s keel, which were put there to minimize the risk of a yaw in strong wind conditions. 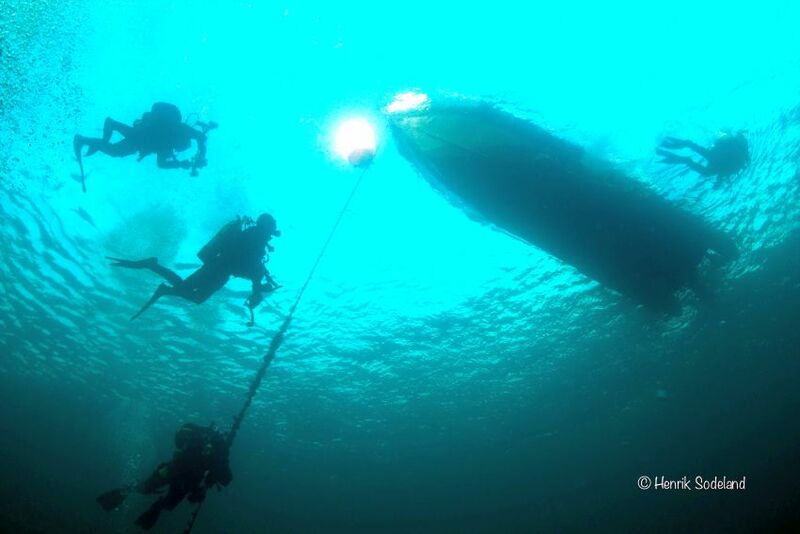 For this vessel, searches are still in process to try to identify its name and origins. 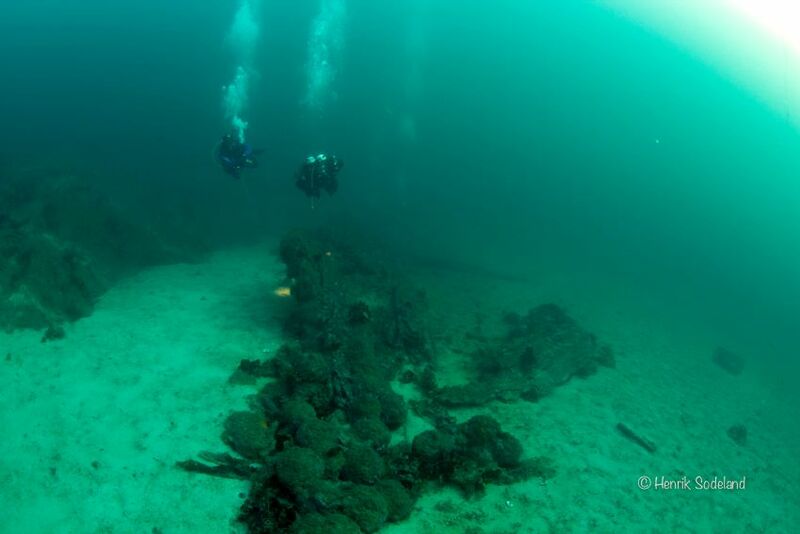 Further dives and research will be necessary in order to decree the provenience period and its history. 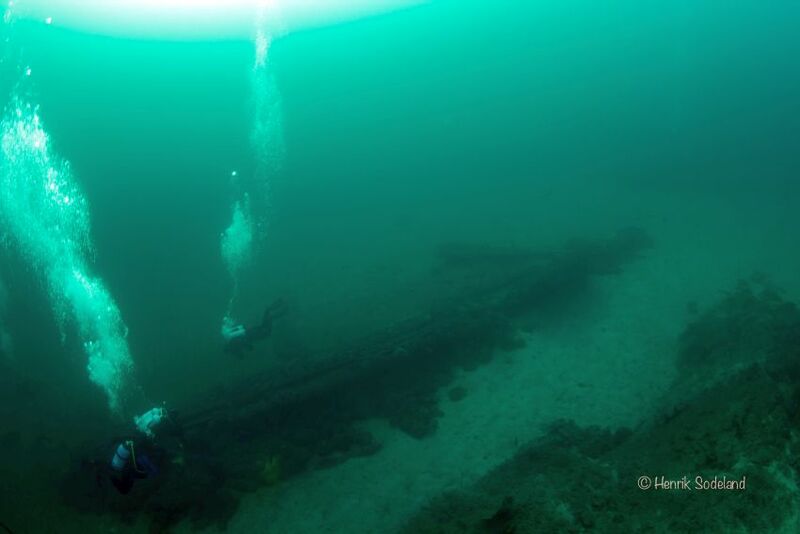 Subsequently, our passionate Team composed by Oscar Lodi Rizzini, Federico Gaeta, and Roberto Barbieri moved to the area of Kådøya’s island to find the remains of what is thought to be another ancient pirate vessel. 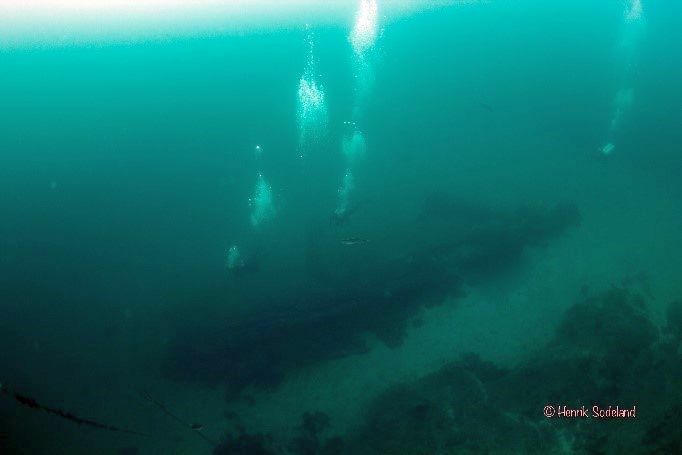 The adverse weather conditions, due to the winter season and related poor visibility on the seabed, were undermining the Team’s commitment to continue the search for this second wreck. 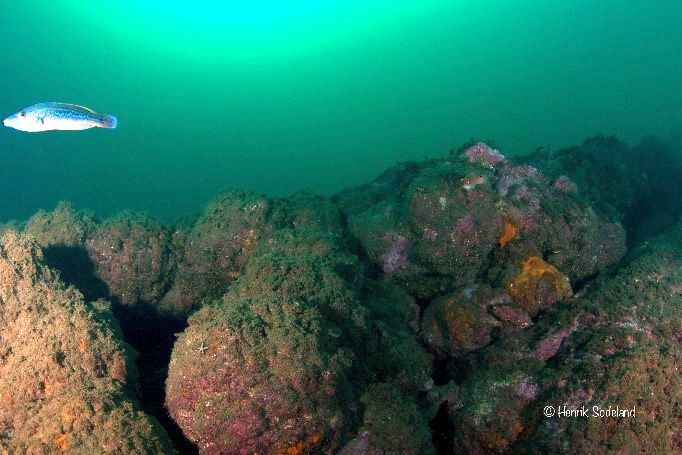 Suddenly, during a dive something special and unexpected happened: We found ourselves faced with an unnatural wall of material modeled by the man. We immediately understood that it was something special. We approached and the wall appeared in all its splendor! 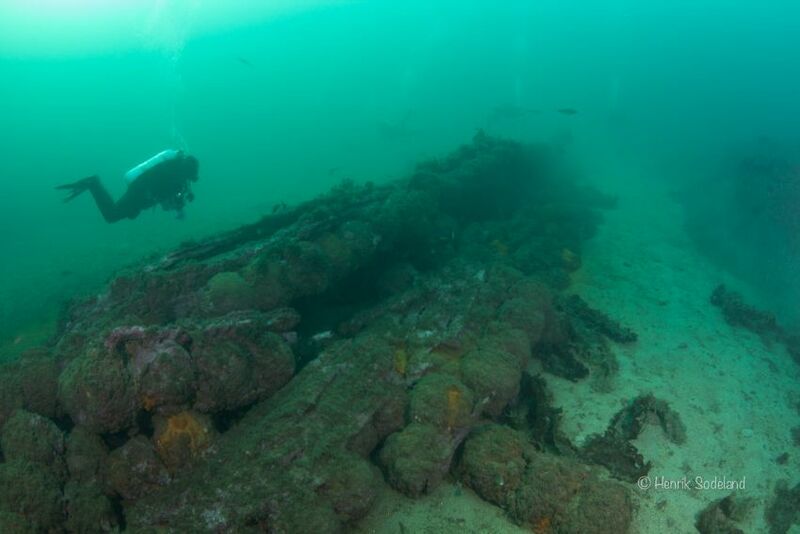 It was part of the hull of the pirate vessel, the longed-for “Louis et Anne”. 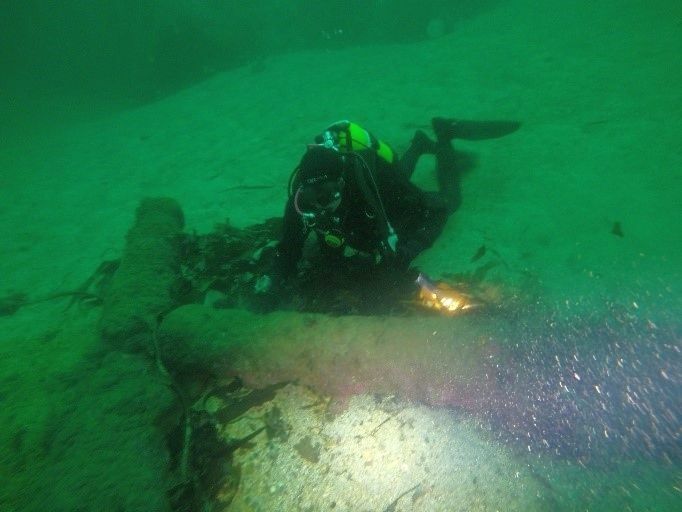 Oscar, as usual, began to search the bottom between what we suppose were the remains of the planking. Not denying his nose, he soon found a spherical metallic object. The euphoria was very high, thinking of what could be hidden on the remains of the vessel. During the initial exploration, several objects that had been eroded by the time have been found. 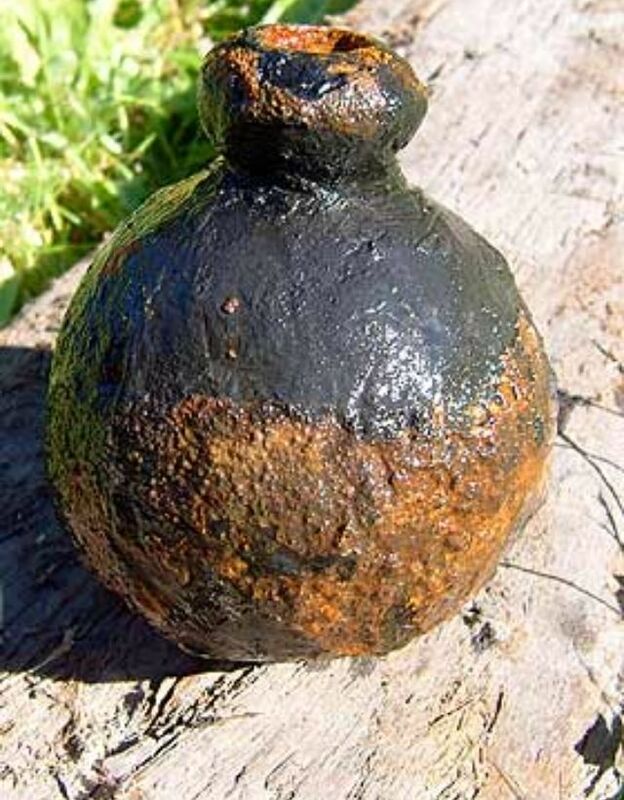 In subsequent dives near the vessel’s hull, we found a heap of material consisting of ceramic hand grenades of about 30 cm diameter and several cannonballs at least 300 years old. 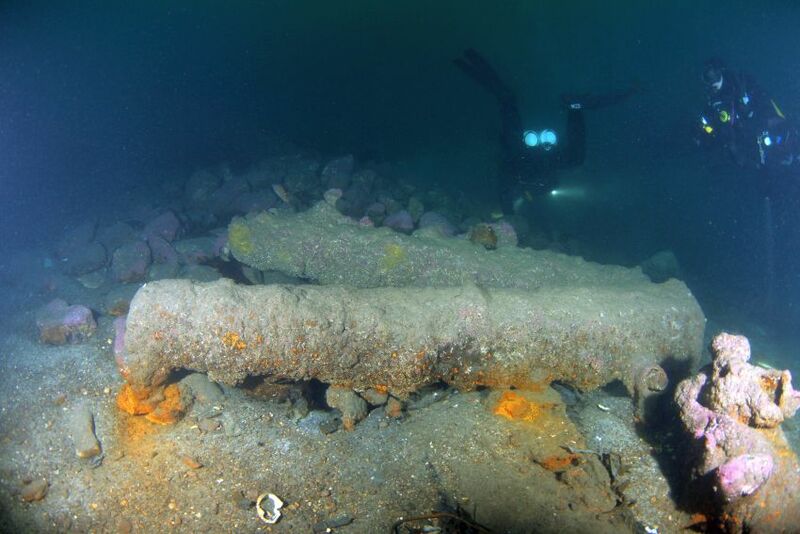 Finally a twist of fate: the finding on the bottom of cannons covered by the sediment. It was unique emotion to see a vessel with so many armaments. Frederick, our Italian-Norwegian member, told us that such a cargo has not yet been found anywhere else in Norway So the question came naturally: Why the vessel “Louis et Anne” had such an unusual load? 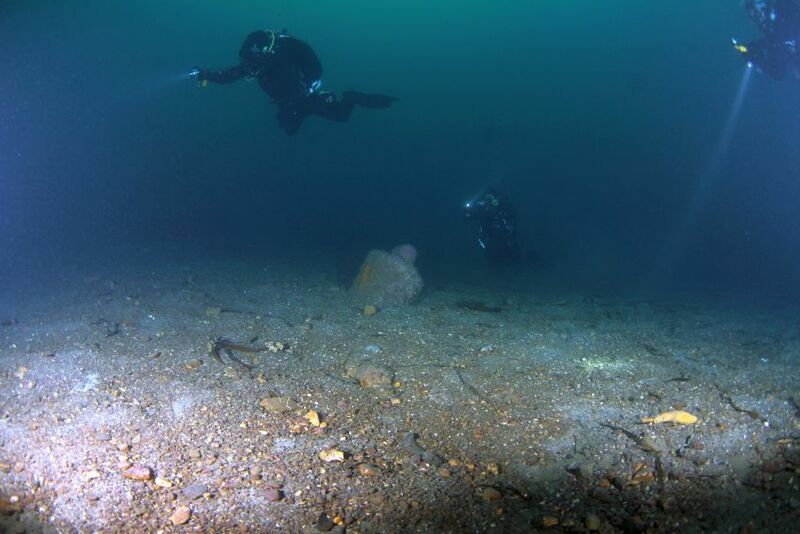 With the collaboration of Flekkefjord’s diving center and thanks to the research of Leonardo and Maurizio, we have been able to reconstruct its history. 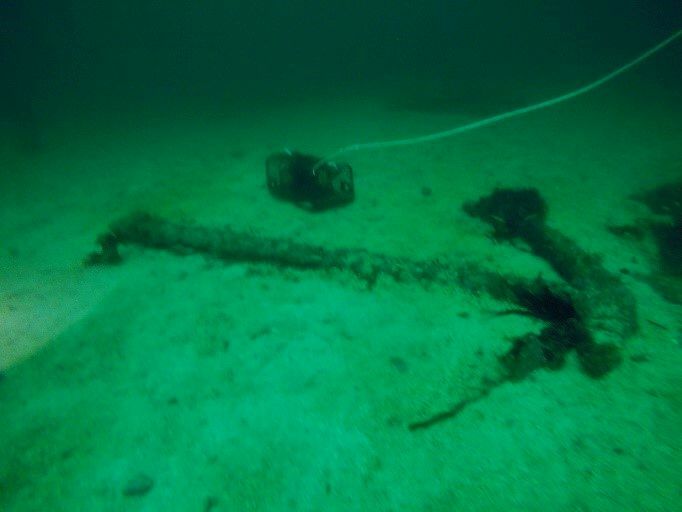 This is precisely the pirate vessel named “Louis et Anne”, found a few years ago by a group of local divers. On December 17, 1723, the 92-feet “Louis et Anne” vessel, completely weaponized, was surprised by particularly adverse weather conditions and with rough seas, strong winds and powerful currents, it crashed against the outcropping rocks during the desperate attempt of its Captain to bring it safely to port. However, the frigate never got in port. In the Bay of Kådøya, very close to salvation, the vessel sank with about 700 bombs, various grenades, hand grenades and 426 iron bars. The whole vessel disappeared swallowed by the sea. 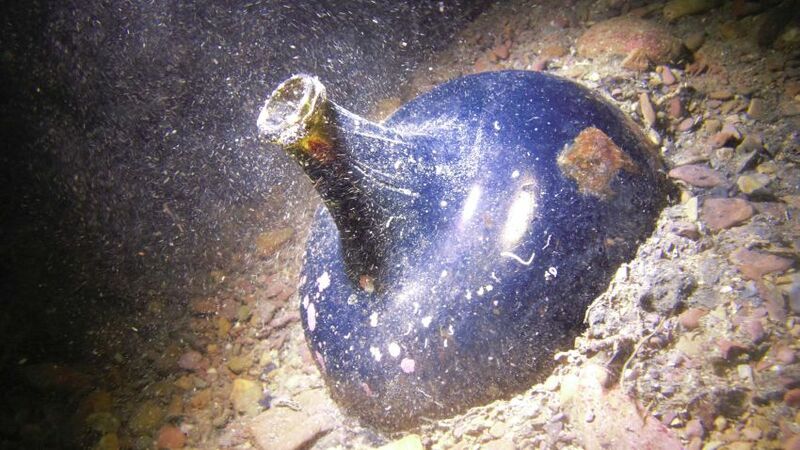 What the vessel was carrying on and its destination is a mystery. Probably the vessel was carrying out a secret mission. That fateful day, the noble Captain Gustav Wagenfelt, famous during the Great Northern War, directed the bow towards the port of Kirkehamn, on the island of Hidra, for reasons that are still unknown. We can hypothesize that the island of Hidra could have been the target of the supposed mission, but the vessel could have easily navigated to Spain and continued to Madagascar, as it had already made that route. The “Louis et Anne” was part of a fleet of pirate vessels operating in the Baltic Sea. During the Great Northern War (1700-1721), the Swedish Navy also hired ships of this type for fights at sea. The capture of vessels had become common practice as well as the piracy that was legitimized by the authorities themselves. From documents of the time we discovered that the most famous commander of the Baltic Sea in that period was Lars Gathenhielm. He was the one who gave the name “Louis et Anne” to this vessel. He was the Commander of the vessel until he died of tuberculosis in 1718. 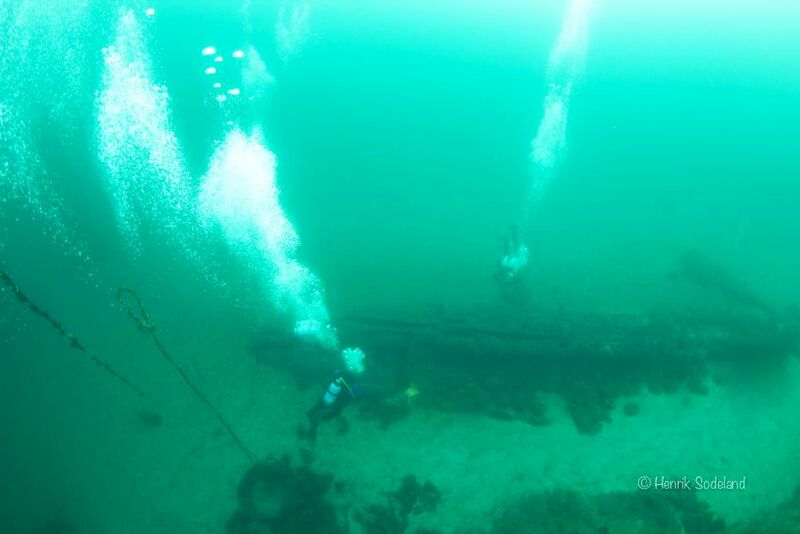 For the next five years, with a crew of about 140 well-trained men, the “Louis et Anne” continued to be a pirate vessel until its sunk. It can be assumed that the “Louis et Anne” may have also participated in the colonization of Madagascar. According to historian Bengt Nilsson, the Swedes had great plans to invade the island east of the African coast. Pirates who lived on the premises were used, as happened with the famous pirate commander William Morgan, who even became a Swedish governor in Madagascar, as historian Svein Syvertsen told us. 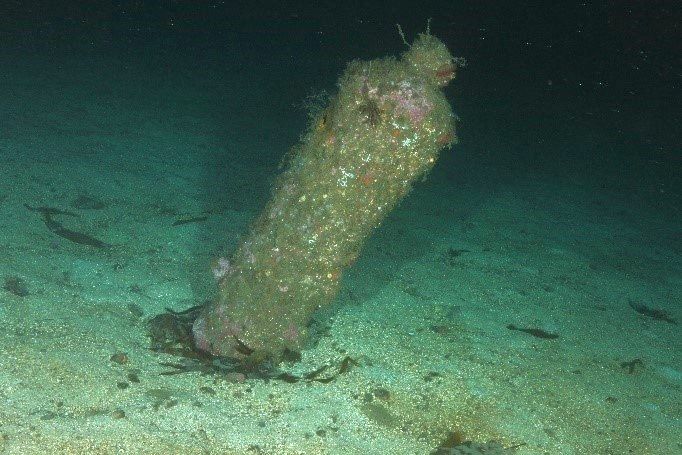 The vessel “Louis et Anne” has undoubtedly also played a significant role in the battles against the Norwegian Admiral Peter Wessel, a native of Trondheim, better known as Tordenskiold “the shield of Thor.” All this information was obtained by Leonardo and Maurizio, who have been in close contact with the Norwegian Maritime Museum and with some Swedish war historians. The PSAI Team Explorer is proud of the research carried out, of the validity of the information and the findings made. This is the culmination of our passion; to bring back important pages of history. 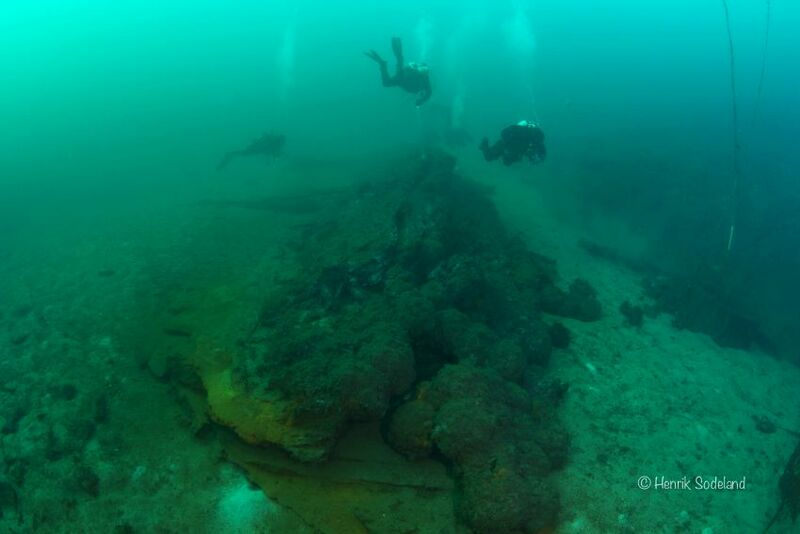 The location of the find has not yet been disclosed as it remains under the jurisdiction of the Norwegian authority. 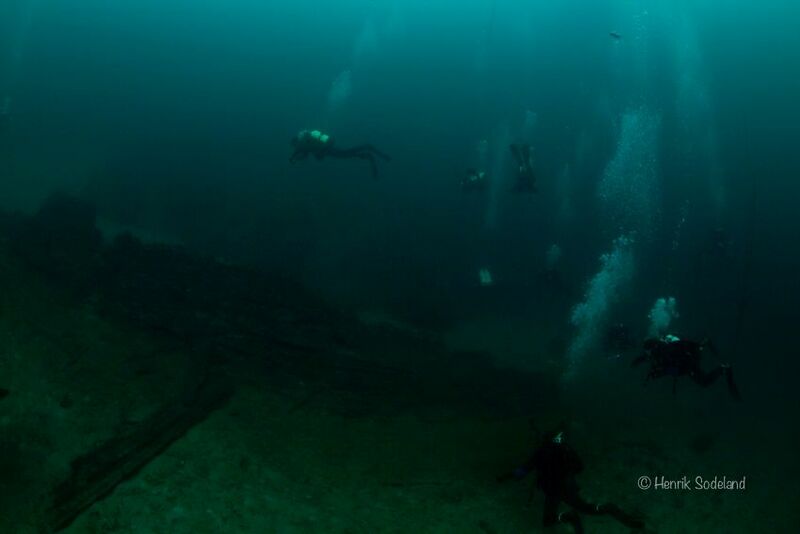 We hope that the archaeological site will become a historical and cultural memory where people can dive, admiring the wreck directly and reviving its glorious history and legends. Federico Håland Gaeta, PSAI Instructor, our interpreter in Norway. Roberto Barbieri PSAI Instructor, our expert in photography. Egidio Roncon PSAI Technical Instructor specialized in explorations, back from many expeditions with Oscar, he is our translator. Particular thanks to the underwater photographer Herik Sodelad for the kind concession of some photos taken during the expedition.